Outgoing N.C. Superintendent of Public Instruction June Atkinson offered some tearful farewell remarks in perhaps her final meeting with the State Board of Education Thursday, offering staunch support for public education and calling on officials to address a laundry list of problems for North Carolina schools. “I unapologetically support the work that has been done in this department to make sure that our students are career and college ready through the adoption of standards that have endured so much heat,” Atkinson said. 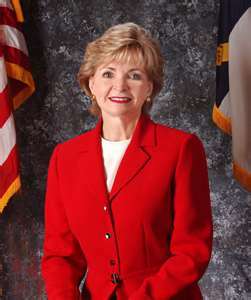 Her comments come weeks after Atkinson’s surprising ouster on Election Day by Forsyth County Republican Mark Johnson. Atkinson, a Democrat, has held the post since 2004, frequently clashing with GOP leadership in the N.C. General Assembly over teacher pay, public school funding and curriculum. Nevertheless, she touted a marked rise in students’ graduation rates—from about 68 percent to 86 percent during her tenure—as well as an increase in advanced placement course enrollment and growth in career and technical education studies. On Thursday, she called on state education leaders and the State Board of Education to advocate for higher teacher salaries and “speak up” when some disparage public education. “No entity has ever succeeded by slamming its workforce,” she added. Atkinson also urged officials to meet a host of needs for state schools, including addressing lagging performance in low-performing schools and long-troubling disparities in suspension rates among different groups of students. She also said officials should “seek accountability for any entity receiving taxpayer dollars, just as it is required of public schools.” That’s likely a reference to the state’s two new, for-profit virtual charters, which have been troubled by lagging academics and high dropout rates. More to come on that later today. Atkinson received some kind words from members of the state board as well, with Chairman Bill Cobey pointing out the outgoing DPI leader once played point guard on her high school basketball team. “What I know about point guards is they are leaders,” Cobey said. So sorry to see you go June. You were a true champion for our children. Thank you for all your work to help NC. I’ve been told by NC residents that NC teachers re not paid well. What did Ms Atkinson do about that during her time in office?